We're asking you to reverse things this advent - with a calendar that gives back. December has arrived and in homes across the country, cardboard doors will be opened in the traditional countdown to Christmas. But we're asking you to reverse things this advent - with a calendar that gives back. The idea is simple; instead of opening the door to a chocolate or picture, you do the giving. 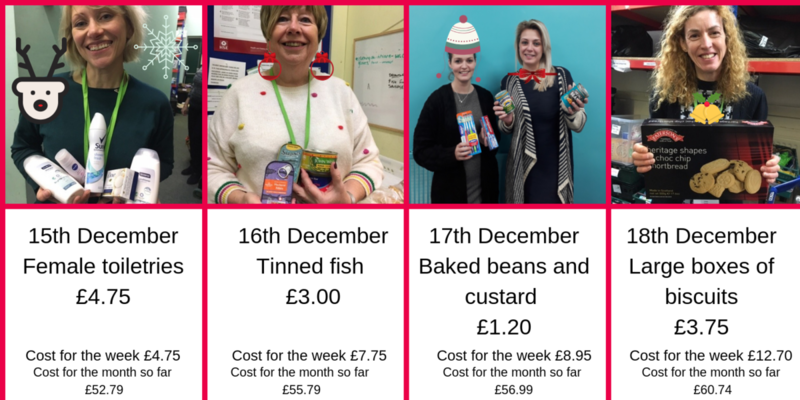 Make a small donation each day of advent, to help us with our shortages. Every day a new door on the advent calendar will open, to reveal one or two of our shortages. Each item will have a value and we ask you to make a donation to cover the cost of that shortage. You can donate every day during advent but you don't have to, it's completely up to you. You can even choose to donate each week, or to make one big donation to cover the whole shortage list on Christmas Eve. We'll be updating the website and our social media pages at lunch time each day, so you can can see the latest shortage item. On the donate page, tick "reverse advent" in the communication list so we know how you want us to use your donation. It's Day 18 of our reverse advent already! Christmas is nearly here. This year our reverse advent appeal is asking you to give a little back. Can you donate the cost of today's item? Or even the items for the month so far? Donations can be made here on our website.